Zoran Janković, once CEO of retailer Mercator (1997-2005), now the Mayor of Ljubljana since 2006, is thriving in his fourth term, which he won as an independent candidate through direct and secret elections in 2014. Mr. Janković, with his team, reshaped the management team of the City of Ljubljana. Under his leadership the city has gained new momentum; as a European capital with a vision of sustainable and spatial development until 2025 has a future of a modern, yet individual friendly, well-kept and safe city. More than 1700 projects were implemented for higher quality of living. Ljubljana is the European capital with the largest share of separately collected waste and the first European capital to be part of the Zero Waste Europe network with a Zero Waste Strategy. The Mayor represents City of Ljubljana and the City Council. As the holder of executive power he is responsible for implementation of the City Council’s decisions. He is always open to suggestions and initiatives from the citizens and once a month the citizens are welcome to visit him for a personal conversation at the City Hall on the »Day of Open Door«. So far he accepted over 21000 citizens. In 2008 French newspaper Libération, published a list of 36 individuals from the 27 EU member states that would shape tomorrow’s Europe, among them Zoran Janković, Mayor of the City of Ljubljana. As noted in the Paris newspaper, Janković is a successful businessman that embodies the Slovenian success story. 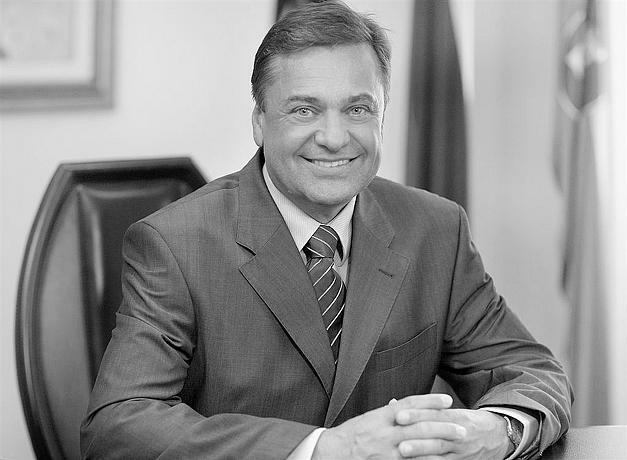 The City Mayors Foundation, which promotes good city governance around the world, named Janković as the Mayor of the Month in December 2011, and he was among 25 best mayors in the world of 2012. Ekologi brez meja are the national Zero Waste organization for Slovenia. © 2016 Društvo Ekologi brez meja. All rights reserved.